Once a policy afterthought, corporate governance has come into its own during the Obama years. The increased interest is hardly surprising given that the President took office in the deepest depths of a global financial crisis. Less clear, however, is how effective the recent embrace of a corporate governance approach known as “shareholder democracy” has actually been. That mixed record, coupled with an emerging view of corporations as an important social institution, has led to calls for a more comprehensive and integrated approach to corporate governance going forward to better advance the larger goal of a vibrant and responsible private sector. Corporate governance, in basic terms, is the set of mechanisms and processes by which companies go about policing themselves. While governmental policies can significantly influence corporate governance practices, corporate governance itself is separate from, and in addition to, direct governmental regulations that might apply to various businesses. To take a familiar example, the exercise of oversight of management by a board of directors is a key corporate governance fixture. Companies that have strong internal oversight are, according to this theory, less likely to engage in the sort of excessively risky behavior. Good corporate governance can help companies operate more responsibly, promote corporate compliance with applicable laws, and guard against managerial self-dealing. Studies have found, for example, that companies with robust corporate governance often do better financially in the long run. Corporate governance is also important from a public policy perspective because, when done well, it acts as a check on the negative social externalities that corporate activities can generate. Put another way, companies that have strong internal oversight are, according to this theory, less likely to engage in the sort of excessively risky behavior that can cause collateral social damage of the type witnessed during the financial crisis. The basic argument in favor of shareholder democracy is simple enough: Boards and executives have gotten too cozy, which has compromised the critical function of board oversight, which in turn has led to excessive executive compensation and more and larger corporate scandals. Because, according to the argument, shareholders’ interests are ultimately better aligned with the corporation’s overall welfare (as opposed to the personal interests of executives), shareholders should therefore have a larger and more direct voice on major corporate issues. 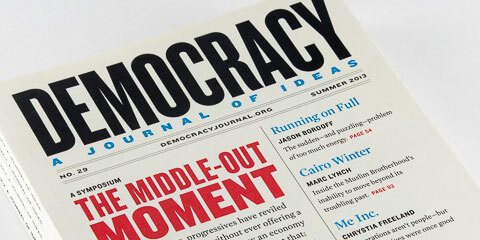 The shareholder democracy agenda includes a number of policy initiatives. A leading one is “say on pay,” the idea that shareholders should periodically have the right to vote on compensation packages for senior executives. In most companies, executive compensation is still set by the board, often based on the recommendation of a compensation committee. Say on pay is seen as a check against runaway executive compensation and the troubling incentives it can generate. Say on pay has trod something of a thorny path. In 2007, the House (then under Democratic control) passed a bill providing shareholders with a non-binding approval/disapproval vote on executive pay packages and on so-called “golden parachutes” (large payouts to executives upon the sale of a company). A companion bill was introduced in the Senate in April of that year by then-Senator Barack Obama. It was opposed by Republicans and essentially died on the vine. In the wake of the financial crisis, Congress passed the Dodd-Frank Act, which, among other things, required the Securities and Exchange Commission (SEC) to adopt say on pay rules for public companies, which the SEC dutifully did in January 2011. Like the earlier legislation, the SEC rules provided for a periodic shareholder vote that was only advisory, rather than binding. The rules also provided that shareholders vote on how frequently they should be allowed to vote on a company’s compensation arrangements. Notwithstanding this political embrace, the jury is still out on whether say on pay will ultimately do much to address excessive executive compensation. While a board or management that flouts a shareholder vote for its own financial gain will certainly have a lot of explaining to do, it is unclear what concrete adverse effects would result given that the votes are only advisory. More concretely, when shareholders have gotten the chance to vote, they have generally approved executive compensation practices in overwhelming numbers. In 2015, for example, proposed executive pay was approved by shareholders in over 97 percent of cases with, on average, approximately 90 percent support in each case. While one could argue that the threat of a nay vote is making underlying proposals more reasonable, the data hardly compel adoption of that sort of “curious incident” conclusion just yet. Another favored shareholder democracy item is “proxy access”—the proposition that shareholders should have the ability to include board nominees of their own in company proxy materials (documents that public companies are required to provide to shareholders concerning matters to be taken up at annual meetings, including board member elections). Currently, companies can exclude shareholder nominees from those proxy materials, leaving shareholders with only the highly impractical and expensive option of preparing and distributing their own proxy materials. The result is that directors are almost always chosen from management’s pool. Proxy access, sometimes referred to as the “holy grail” by shareholder democracy advocates, is seen as a vital means for injecting new perspectives into the boardroom and promoting meaningful board oversight. Despite its importance to its proponents, proxy access has proved elusive. For example, a 2003 SEC proposed rule to require proxy access was met with fierce opposition from corporate leaders. They argued, among other things, that unions and other “special interest” shareholder groups would hijack the process and undermine corporate performance. Ultimately, the pressure proved too much and the SEC abandoned the proposal. Shareholder democracy proponents argue that these struggles are just bumps in the road and that the longer march of history is toward greater shareholder democracy. The financial crisis of 2008 and the passage of Dodd-Frank led to action on this issue too, and in August 2010 the SEC officially embraced proxy access. The new rules required companies to include in their proxy materials a limited number of potential directors if those candidates were nominated by shareholders owning at least 3 percent of a company’s voting stock for a period of at least three years. The pro-shareholder democracy forces had won. Except they hadn’t. The Business Roundtable, an association of prominent corporate CEOs, filed suit challenging the appropriateness of the SEC’s rule-making process. A legal battle ensued and made its way to the D.C. Court of Appeals where the court, in an opinion by Judge Douglas Ginsburg (whose Supreme Court nomination, one may recall, went up in marijuana smoke during President Reagan’s second term), sided with the Roundtable and struck down the rules. When the SEC later declined to seek Supreme Court review, the defeat for the proxy access side was, at least as a legal matter, effectively complete. Shareholder democracy proponents argue that these struggles are just bumps in the road and that the longer march of history is toward greater shareholder democracy. True or not, that still leaves the fundamental question: Should policymakers looking to promote increased corporate integrity put their eggs in the shareholder democracy basket? True, shareholders have various rights—such as the theoretical right to residual corporate profits and the right to vote their shares—but these are contractual, not moral, rights, and they differ from company to company. Many companies, for instance, have dual- or multi-class stock structures that render the voting rights of certain classes of stock effectively powerless. Others employ structures that prioritize payouts among shareholders. In short, unlike real democracy, shareholder democracy does not necessarily have a claim to any moral high-ground as a theory of corporate governance. Unlike citizens in a political state, shareholders are not “governed” by corporations. On a more practical level, critics argue that shareholder democracy is fundamentally limited in its ability to curb the sort of excessively risky behavior that led to the collapse of Lehman Brothers and the systemic collateral damage that resulted from the financial crisis. Why, they ask, do companies like Lehman engage in excessively risky behavior in the first place? To generate greater profits and boost share price, of course. And therein lies the rub: Shareholders are part of the group that has the most to gain from a boosted share price. Moreover, corporate limited liability principles mean that the downside to shareholders of a bad decision, while real, is confined to the amount of their investment. Their cost-benefit calculations, therefore, need not (and typically do not) take into account the social harm that corporate activities can precipitate beyond those that directly affect share price. Of course many shareholders—including a number of the large pension funds that promote shareholder democracy—are long-term investors interested in companies that take a constructive view of their role in society. The prevailing trend in recent years, however, has been towards shorter investment periods, perhaps best exemplified by short-term hedge fund activists who promise to “unlock value” by pressuring companies to use available cash for share buybacks rather than for other corporate activities, such as research and development. These shareholders have strong incentives to try to boost a company’s share price just long enough for them to sell at a profit; others can sort out the consequences. Because many of these activists use the threat of ousting management and taking over a company’s board to get what they want, greater shareholder democracy only makes it easier for them to ply their trade. These types of limitations have led many to rethink their approach and stop short of a full-throated embrace of shareholder democracy. Traditionally, corporate governance has followed something of a “parental” model: Companies exist to make as much money as possible and corporate governance exists to make sure the “children” (i.e., corporate managers) do not too readily give into their more selfish instincts. The shareholder democracy movement, for all its laudable aspects, is largely rooted in this model. Recently, however, a number of policymakers, scholars, and market participants have begun to ask: What if, instead of being scolded into it, companies were affirmatively encouraged to incorporate responsible behavior into the core of their operations? What if, to continue the parental analogy, corporate governance policy followed a more “positive discipline” method, where companies were rewarded for doing good rather than reprimanded for doing bad? In this formulation, a company and its stakeholders would, for example, have concrete and positive incentives to adopt reasonable executive compensation practices and robust board oversight, rather than just a desire to avoid shareholder disapproval. What would such an approach look like? There is no settled theory or vision yet, but the growing benefit corporation (or “B-Corp”) movement is instructive. Since 2010, more than 30 states, including Delaware, New York, and California, have enacted statutes that allow companies to incorporate under the express understanding that their mission is not just to make money, but also to serve an articulated public benefit. More than 3,500 companies have signed up. A key purpose behind benefit corporations is to provide formal shelter to companies from the pressures of external financial expectations (and the incentives to cut corners that those pressures can produce). The theory is that companies that integrate a broader view of purpose into their core activities are less likely in the first instance to engage in the some of the behavior that corporate governance seeks to address. Consumers, employees, and investors are increasingly concerned with the social responsibility of the companies with whom they engage. The movement toward a more integrated approach is being driven by a number of factors, including a broad interest in revitalizing corporate governance and the values of the rising millennial generation. Though it is still early days, signs abound that consumers, employees, and investors are increasingly concerned with the social responsibility of the companies with whom they engage. For instance, entities that collectively represent over $45 trillion in assets have signed on to “responsible investing” principles promulgated by the United Nations. Labels such as “fair trade,” “LEED certified,” and the like are becoming ubiquitous, and companies are finding that treating their employees and the environment well yields concrete dividends. Market infrastructure is also developing to support these trends. For example, by some estimates, 80 percent of S&P 500 companies now issue “sustainability reports” in accordance with standards promulgated by the Global Reporting Initiative, an independent international organization. Other organizations are developing sophisticated disclosure and rating standards to make it easier for investors, consumers, and employees to evaluate before rewarding them with their dollars and labor. And large public institutions—particularly public pension funds—are expressly incorporating environmental, social and governance factors into their investment criteria. As a result, companies have increasing incentives and opportunities to engage in responsible behavior as part of their core activities, rather than look to a separate corporate governance oversight mechanism for correction. We need an effort to evolve corporate governance from a pesky parent, slapping management on the wrist. These measures share an overarching purpose: incentivizing companies to incorporate all of the social costs and benefits of their operations into their core purpose and functioning. Indeed, while there is tremendous work yet to be done, one can almost think of the integrated approach to corporate governance as a strategy for doing away with (or at least minimizing) the underlying need for corporate governance in the first place. It is an effort to evolve corporate governance from a pesky parent, slapping management on the wrist, into a dynamic part of the overall effort to maximize the benefits that the private sector generates. It is, at least to its proponents, also the future, and policymakers would be well advised to embrace it. Adam Zurofsky was, until 2015, a partner at the New York law firm of Cahill Gordon & Reindel, LLP, where he specialized in corporate governance and litigation. He currently teaches corporate social responsibility at Fordham Law School and is working on a book about corporate purpose. He is also the founder and President of Touchstone Metrics, an organization dedicated to creating meaningful benchmarks for measuring corporate sustainability.